Oh, please, like you didn’t know this was coming. Everyone’s a Zabian Dowdell fan these days. 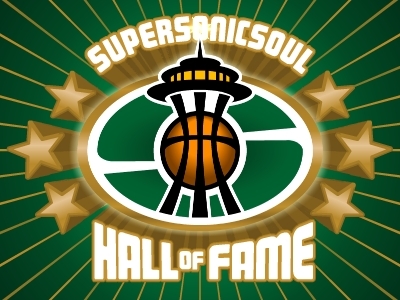 Supersonicsoul, True Hoop, Kevin Pelton at supersonics.com ... for a guy who went undrafted, he’s getting a tremendous amount of ink. So, it was with anticipation that I sat down to watch the Sonics-Blazers Summer League finale Sunday night. I was hopeful that 1) Dowdell would get some serious minutes and 2) that he would play well. Well, at least I got one of the two. Dowdell played about half the game Sunday night, subbing in for Brandon Heath in the second and fourth quarters, receiving more minutes than he had in any previous game. He finished with 5 points, 4 fouls, 4 boards, and an assist in 18 minutes. So, what were my impressions of Dowdell? A lefty, he’s sort of a cross between Kenny Anderson and Khalid Reeves, at least physically. I know all lefties look alike when they shoot, but Dowdell did remind me of Anderson on his outside shot, although he’s a bit heavier than the lanky Anderson. Dowdell lived up to his reputation as a shoot-first point guard, as most of his better plays came when he took the shot, and not when he was setting up his teammates. The Virginia Tech grad entered the game at the 3:54 mark of the first quarter with the Sonics trailing Portland 15-9. On his first touch, he found Ronnie Burrell in the paint for an easy basket, a promising omen. The next time downcourt, Dowdell’s pass to Jeff Green resulted in another basket. On defense, Dowdell was responsible for guarding the slippery Sergio Rodriguez, yet another daunting task for the Sonics’ challenged point guards this summer. Dowdell proved up to the task, generally staying in front of the quicker Rodriguez, although he did let Sergio slip by a time or two. On his first shot attempt – still in the first quarter – Dowdell came up lame when he landed, but he re-entered the game after the next commercial break. It was on this re-entry that Rodriguez drove the lane and beat him, but we’ll chalk it up to the lingering affects of the sprained ankle (hey, we want Zabian to succeed; deal with it). Dowdell found Kevin Durant in a semi-transition fashion the next trip down, resulting in a Durant 20-footer for two. As all point guards will learn for the Sonics this year, the smartest play is to throw it to the youngster and hope for the best. Finally, halfway through his first tenure on-court, Dowdell showed some of the ability on offense that got him such reknown at Virginia Tech when he drove the basket, offered up a double-pump and came close to sinking a layup. No points, but a solid move that opposing point guards will have to respect. He followed it up on defense with a poor bit of communication on a screen and roll, leaving Rodriguez alone and resulting in an open Blazer jumper in the corner. Not to be held down, Zabian parlayed a canny inbounds pass from Green (who is looking better and better as the summer progresses; can it be possible that he’ll be this generation’s Nate McMillan?) into an easy layup. As the period progressed, Dowdell – as is the way for rookie point guards – alternated between smart and dumb plays, although he more than held his ground against Finnish youngster Petteri Koponen during their time matched up together. 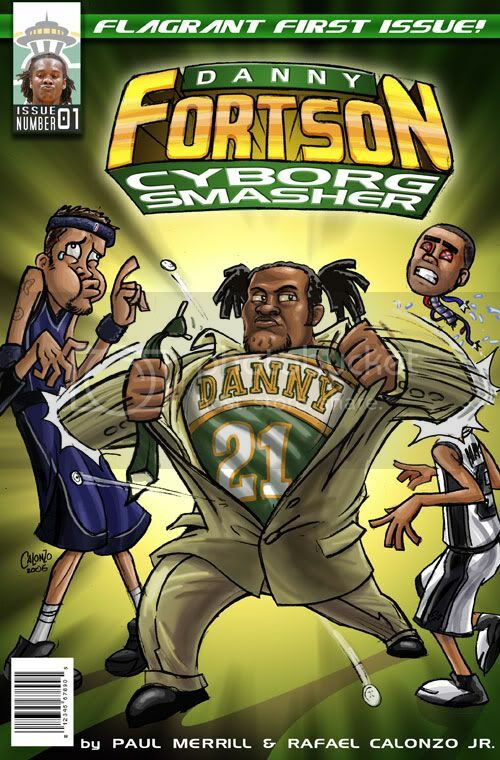 When he finally left the court, the score was 30-27 Portland, which meant the Sonics outscored the Blazers 18-15 during his time on the floor. After resting up for halftime and most of the third quarter, Dowdell re-entered the game with about 4 minutes to go in the period, and he again found Jeff Green for a free throw opportunity. He later drove the basket and dished to an open teammate for a jumper, a promising sign. I had Dowdell down for one 3PA, which he missed, but the boxscore said he had none, so who knows. I also figured him for 3 or 4 assists instead of the 1 he wound up with, but maybe the Blazers brought a road crew to run the stats department on Sunday. I don’t know if Calabro’s opinion was his alone, or if he’s getting that from talking to the Sonics’ braintrust, but that’s a harsh sign for Dowdell. Of course, KC was assuming that Watson and Ridnour will be on the opening day roster, an assumption even he mentioned was tenuous at best judging the Sonics’ level of activity this summer. Bottom line: Zabian Dowdell is not ready to be a starting point guard in the NBA, and he’s barely ready to be a #3 point guard. Still, his defense was adequate and his offensive abilities are there when it comes to scoring. His passing and playmaking abilities aren’t there, though, at least not yet. Suffice it say he’s a work in progress; a work we’re rooting for. He seemed to be step slow on defense and really didn't run the offense. Of course, I do realize that they may not have had any offensive system to "run". One player that was intriguing to watch was the Finnish point guard, Koponen. Still very young but he seemed to have very good court vision and could be a very nice pick up for Ripcity. I certainly wouldn't have mind having him on the Supes training camp line up. dowdell is a winner. anyone that actually knows the came can see that. when he's out there he's not looking to score obviously. how can a someone affect the stat sheet in so many other ways besides the way that they're unfotunate mislabled ( as a score first point gaurd) and still be considered a bust. please analyze heath's stats and minutes in comparison. At VT dowdell had to score who else would do it consistently. here, a guy that is physically by many admissions of scouts, and writers, and mentally ready to play--he knows the game not to mention the fact that he plays both sides of the ball...well--where does the knock on this get come in. from what i've seen, they let him get warmed up then sit him back on ice. someone is gonna smarten up and dowdell going to help that team out tremendously. Just by watching the games it is evident that Dowdell is looking to get Jeff Green and Durant involved. The Portland Trailblazers statistician did not keep accurate stats because Dowdell had 4 or 5 assists. He also had 9 points and 4 assists in the first half of the third game and they gave him 7 points and 1 assist for the entire game. Dowdell brings lots of value and will adjust nicely to the team as a backup point guard. he can also defend bigger guards with his long arms. lee..don't misunderstand..i wasnt ripping dowdell..i was just stating what i saw in the 4 of the 5 games i have seen so far since i didn't catch any of his college games. i know he is the sentimental favorite for many bloggers but from the games i have seen, he wasn't on top of his game..i don't know if he is on the salt lake city summer roster but if he is, then he can try to get back to that "winner" formula then.. I'm scared to ask what you mean by, "Can it be possible that (Green)'ll be this generation's Nate McMillan?" You're trying to say that he's a reliable, team-first player that plays hard-nosed defense, right? Right?? Should have been more clear about that McMillan reference. Nate McMillan is the most revered player in team history; if our wives would have let us, we would have named our children Nate (or Natina, depending). So, to say that Jeff Green would be this generation's Nate is the highest possible compliment I could give a player - it means the consummate team player who gives of himself for the greater good. Absolutely no malice intended.